Lawrence Meyers: I am of a split opinion when it comes to stock buybacks. When a company has excess cash, it can either plow it back into the company to grow the business, buy back stock to make each dollar of net income worth more to shareholders, or pay a dividend. Obviously, the best choice is going to depend on where the company is in its growth cycle. Ideally, management will spread that cash around for all three purposes. What I oppose, however, is the use of buybacks for financial engineering. If a company has little or no organic growth in earnings per share, and it buys back tons of shares in order to reduce share count (thereby decreasing the denominator in EPS), that’s a non-starter. That tells me the company is trying to put lipstick on its own lackluster earnings. Not all companies do this, although a number of blue chip companies are seeing weak growth and playing this game, like International Business Machines (NYSE: IBM). Generally, however, buybacks are a good thing. That’s why you should consider buyback ETFs, which feature companies engaging in buybacks as major holdings. PowerShares Buyback Achievers Portfolio (NYSEArca: PKW) is an ETF based on an index in which the companies are reducing share counts by 5% over the trailing 12 months. They’ve committed to buybacks on behalf of shareholders. This index has performed very well over the past five years, and also over shorter time periods. 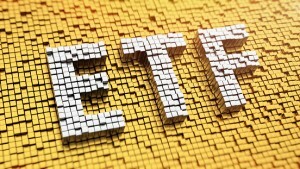 The three- and five-year average annual returns for the ETF are 20.61% and 26.96%, versus only 14.66% and 21.16% for the S&P 500. Since inception, the fund enjoys a 9.67% average annual return, versus 6.11% for the S&P. Obviously, share buybacks entice investors. The top five holdings are Oracle (NASDAQ: ORCL), Pfizer (NYSE: PFE), AT&T (NYSE: T), Home Depot (NYSE: HD) and General Motors (NYSE:GM). They make up over 23% of the portfolio, and I’m sad to say that except for Home Depot, these are all financial engineering-driven buybacks. I don’t care for it, but so many other holdings do not fall into that category, and the returns of the ETF can’t be argued with. AdvisorShares TrimTabs Float Shrink ETF (NYSEArca: TTFS) doesn’t explicitly say it takes the buyback approach in its description, although its name pretty much gives it away. It holds 346 stocks, many of which are engaging in buybacks. It’s not a large fund, with only $203 million under management. Nevertheless, it has outperformed both the S&P and the Russell 3000 Index. Whereas PKW has a 0.68% expense ratio, TTFS comes in at 0.99%. It has a three-year average annual return of 21.03%, versus the S&P 500’s 18%. It delivered a 26.74% annual average return since inception, versus 22.87% for the S&P. SPDR S&P 500 Buyback ETF (NYSEArca: SPYB) holds the top 100 stocks with the highest buyback ratios in the S&P 500 over the past 12 months. It has the lowest expense ratio of all, at 0.35%. It’s also tiny, with only $10.4 million under management. The fund is brand new and has virtually no track record. The expense ratio makes it attractive, but I’d wait and see how it performs before jumping in. This article is brought to you courtesy of Lawrence Meyers from Wyatt Investment Research.